AAU offers amateur athletes opportunities to develop to their highest level through a national and local network of competitive sporting events. Brookwood Basketball Association will offer AAU teams for Boys 11U and 12U for 2019. The cost to play AAU is $275. This fee covers the rental of practice facilities, uniforms, and tournament fees. 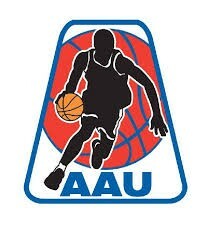 Tryouts (time and location to be determined) will be held for all players interested in playing on the AAU teams. Practices are estimated to be up to four hours a week and will be held at Crews Middle School, Five Forks Middle School, and Brookwood High School. The season will include participation in three tournaments (two in the metro Atlanta area and one at Brookwood High School). Players on AAU teams are expected to be committed and present at all practices and games.